Texas Democrats had a chance to limit Republican legislators' power in the state Senate. But with a special election loss this week, they may have cemented it instead. 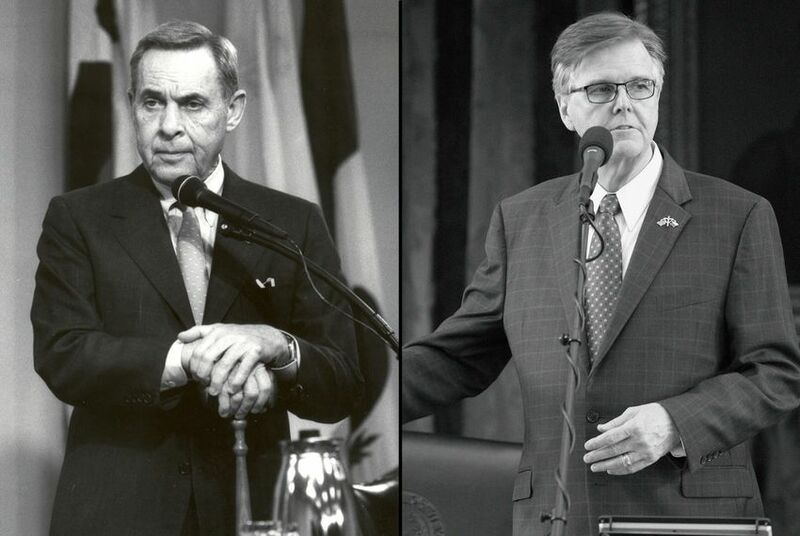 Dan Patrick has the Texas Senate Bob Bullock always wanted. And after this week’s special election in South and West Texas put Republican Pete Flores in the Senate, Lt. Gov. Patrick is in a great position to extend his run — assuming that he wins his own reelection bid in November. This involves some arcane procedural rules, but briefly, there are two kinds of political majorities — partisan and operational — in the Texas Senate. The first is the simple kind of majority: There are more Republicans than Democrats. The second kind — an operational majority — involves the Senate’s practice of blocking consideration of most issues unless at least three-fifths of senators agree to consider it. If everybody is in the room, there are 31 senators and it takes 19 of them to allow debate on a piece of legislation. Republicans have 20 members right now. That’s enough, on partisan issues, to run over the Democrats with a vote to spare. But two Texas senators are on the endangered species list in November’s elections, enough to put the operational majority in jeopardy. That was the state of play until the Republicans pulled off an ambush on Tuesday with former game warden Pete Flores winning the special election to replace convicted state Sen. Carlos Uresti. The kicker? Uresti was a Democrat. Replacing him with Flores gives the GOP’s operational majority an insurance vote. Even if those two vulnerable Republican senators — Don Huffines of Dallas and Konni Burton of Colleyville — were to lose in the general election, the Republicans would still have 19 votes in the Senate. That’s enough, barely, for an operational majority. The Democrats’ only shot here is to win three seats away from the Republicans. Anything is possible, but that’s a reach — real blue wave stuff. It would’ve been a lot easier if they hadn’t let Uresti’s seat float away. It puts the presiding Republican in the Senate in a sweet spot. Most issues that hit the Senate and House floor aren’t partisan, but the ones that are partisan are often really important to the political parties or two big factions within them. Think of redistricting or election law, immigration issues and bathroom bills. A break in the operational majority forces a lieutenant governor to negotiate with the minority, always hunting for a vote or two needed to bring something up for Senate consideration. A solid majority, on the other hand, allows the lieutenant governor to function as both presiding officer and majority leader, pushing through partisan legislation that might not otherwise pass. Bullock, a Democrat, entered office with just eight Republicans in the Senate; a ninth, David Sibley, came in after a special election in early 1991. The old two-thirds rule was that era’s equivalent of today’s three-fifths rule, and Bullock was so confident in Democratic control that he broke tradition and named only Democrats to chair the Senate’s committees. That turned out to be a boneheaded thing to do, by his own admission. Even a small minority can hamstring the Senate, and Republicans quickly showed Bullock their wrath. He relented, but not so much that the Democrats didn’t get their way on the partisan votes. That’s just the way things go. But Bullock took office in 1991, at the beginning of the end of Texas Democrats’ century-long dominance of state politics. Two years later, the Democrats had slipped to 18 in number — still a partisan majority, but no longer an operational one. By Bullock’s fourth and final regular legislative session in 1997, the tables had turned: Republicans held 17 of the Senate’s 31 seats — a majority — and Bullock had all but swallowed his former partisanship. He even helped then-Gov. George W. Bush’s reelection campaign against then-Land Commissioner Garry Mauro, a former Bullock aide and ally. Politics can be like that. The Republicans didn’t get operational majority until Patrick became lieutenant governor in 2015, pushing through a three-fifths rule that lowered the operational majority from 21 senators to the current 19. He’s had it in place for two sessions now, steering the Senate steadily to the right — to the delight of the socially conservative voters who put him in office. With Flores’ win on Tuesday, Patrick is one step closer to what Bullock hoped for — a sustained operational majority in the Texas Senate.